Tattoos are very personal kind of expression. They have a very distinctive and individualistic feel. 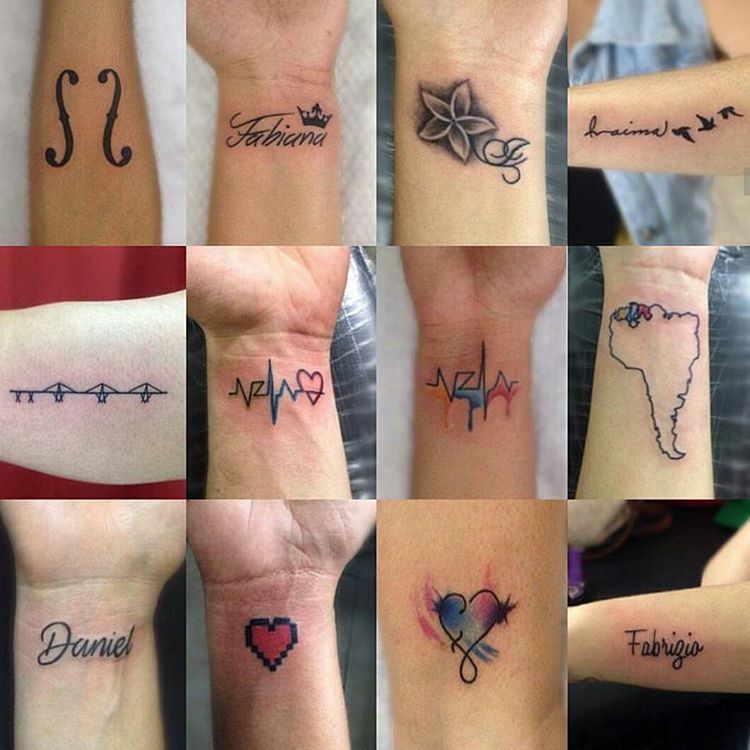 When it comes to tattoo design, it is literally to each his or her own. It’s impossible to tell the suitability of tattoo design, because everybody thinks and inks differently. There is so much to tattoo designs. The preferences differ from person to person and that’s what makes the entire process so exciting. Choosing a tattoo design is by no means an easy task. As there are endless options available, it can get confusing and even complicated after a certain point. The excitement never dies. 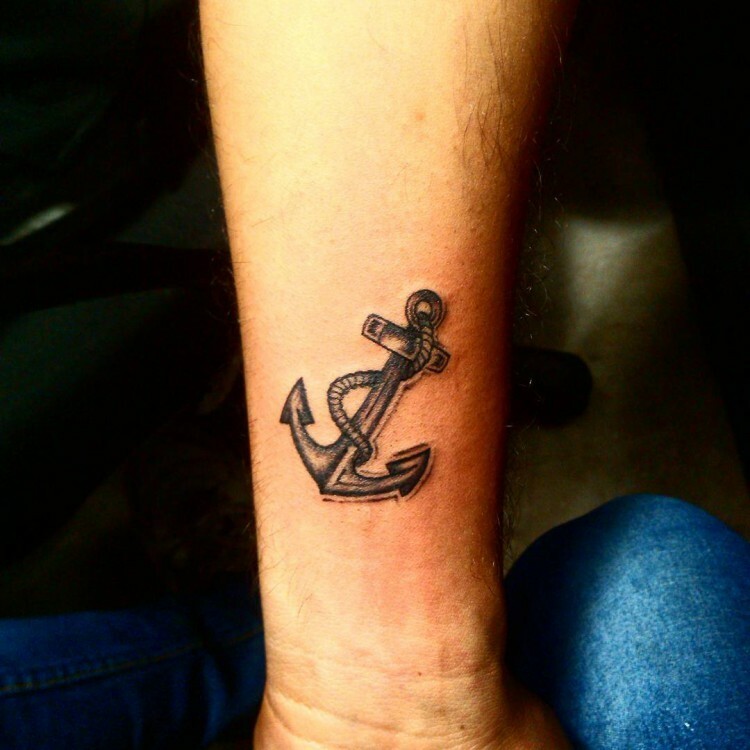 The tattoo designs for men are developed keeping in mind the latest trends and preferences. The latest tattoo designs for women include subtle and more feminine objects such as angels’ wings (an all-time favorite), feathers, stars, lotus flower, paws, dragonfly (girls and women just love this one! 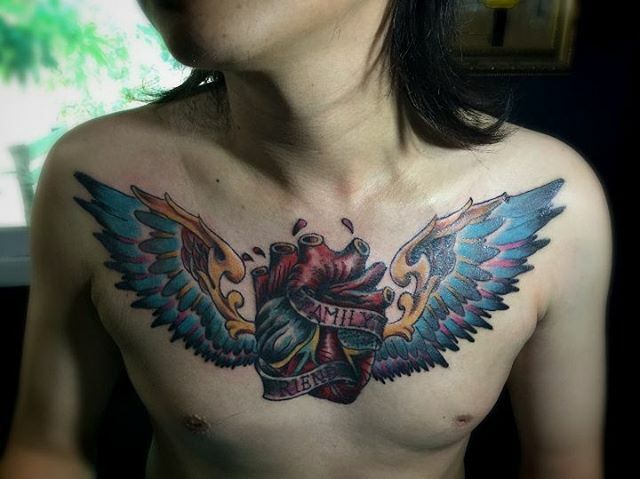 ), the quintessential heart tattoo design is always going to be there! 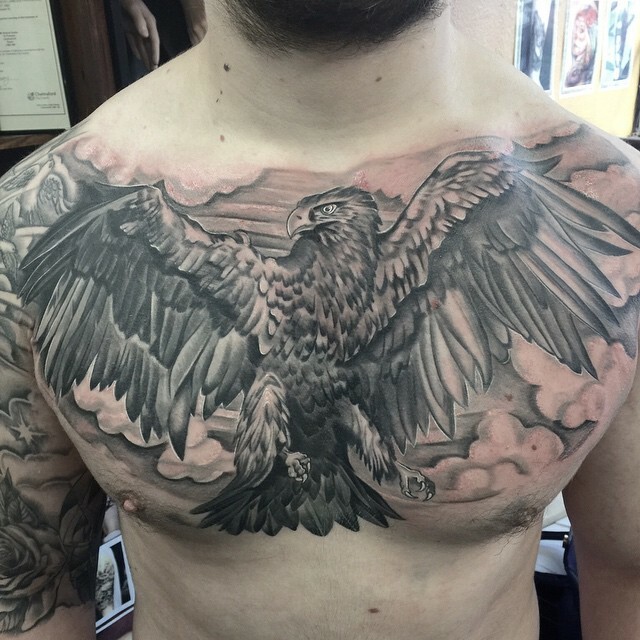 Tattoo designs on the chest area are predominantly done by men. 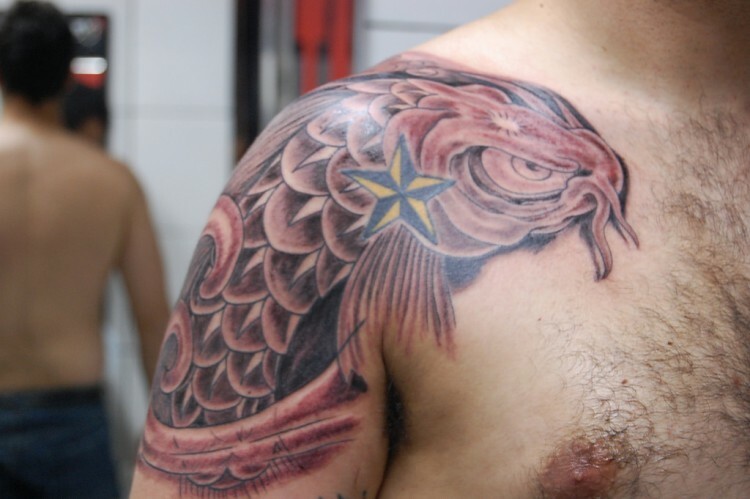 The designs are mostly overpowering and bold as the tattoo covers most of the chest area. The designs trending nowadays include oversized symbols, scripture tattoos using large fonts, even gothic tattoos are a huge hit. 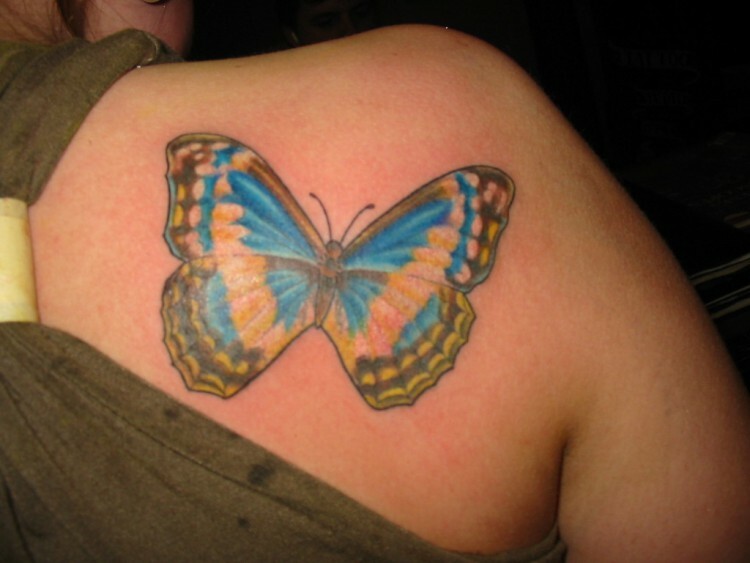 Women and men both generally tend to get tattoos inked on one or both of their shoulders. Most of the tattoo designs on shoulders are not really gender-specific. 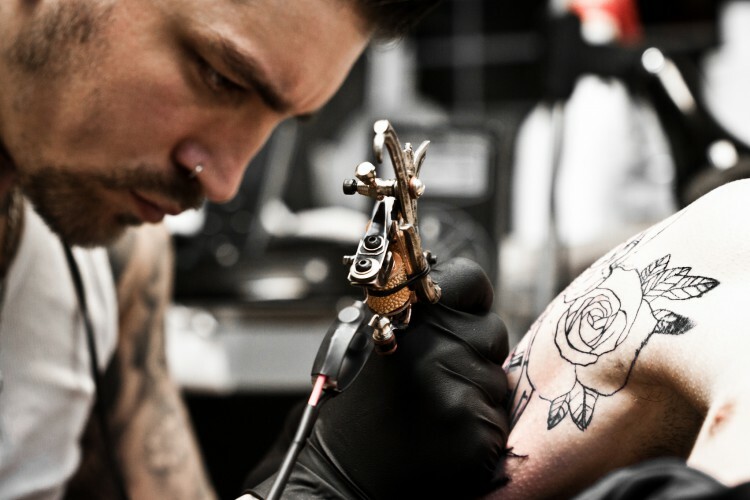 However, men like to go for bold gothic tattoos whereas women pick for floral or symbol-centric tattoos. 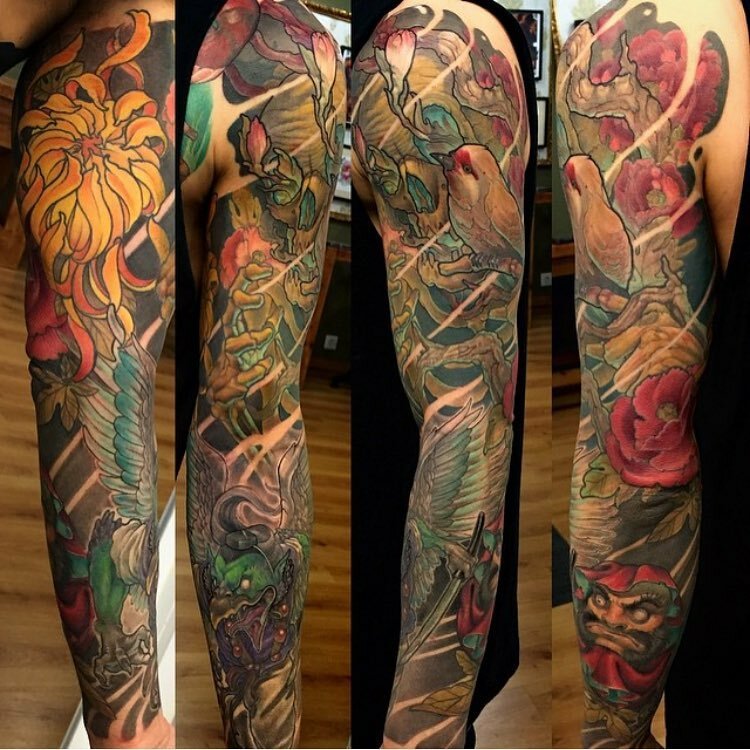 The arms are another favorite space for tattoo designs to be crafted. 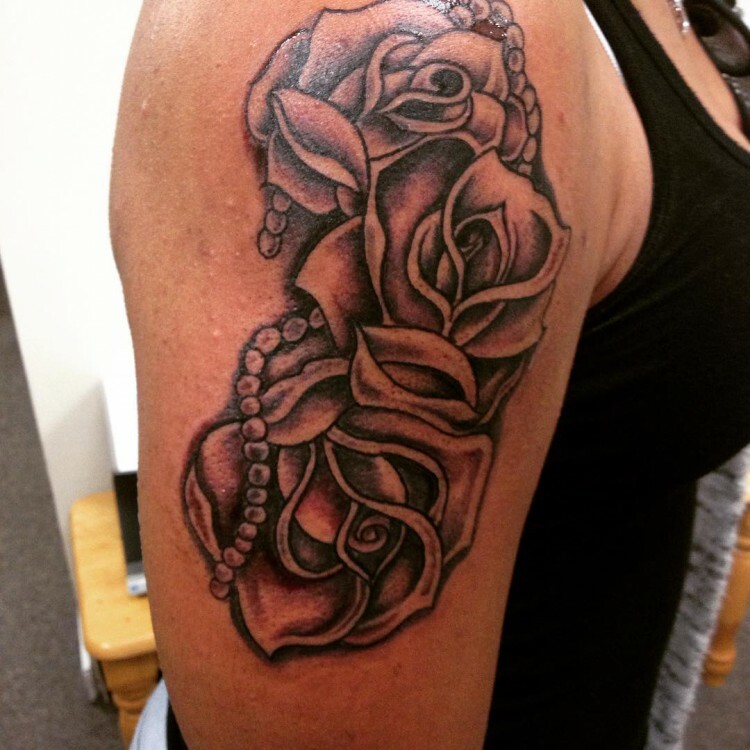 Both men and women have Tattoo designs on Arms, and flaunt it with equal aplomb. In terms of trends, tribal tattoos are a big rage, especially on the arms area. Men like to stick to black and white, but the women do like to get some color infused. 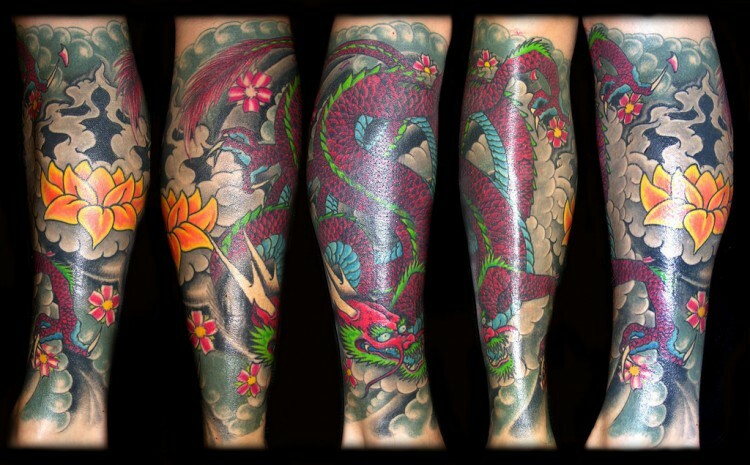 If you wouldn’t like to flaunt off your tattoo completely, then you could opt for Half Sleeve Tattoo designs. 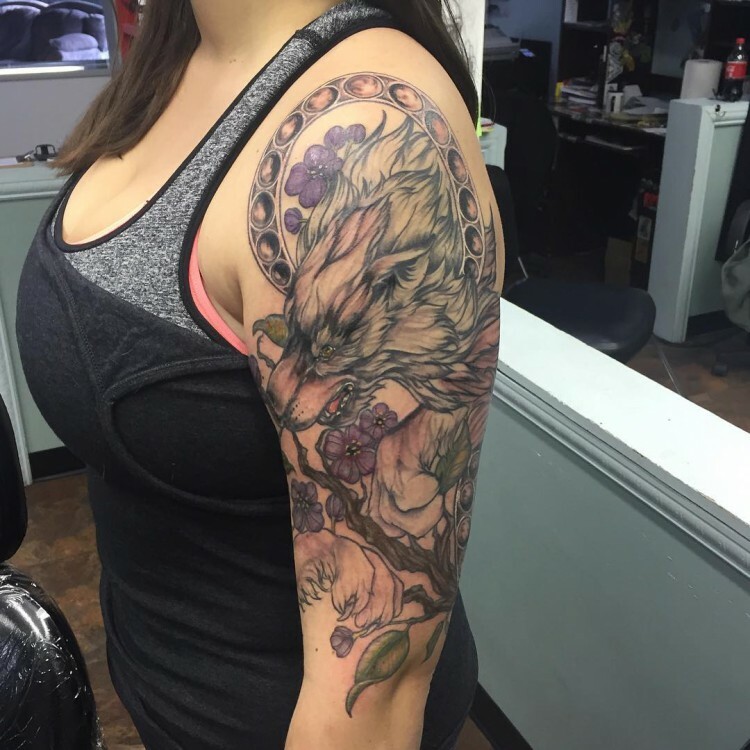 As these designs start at the shoulder and conclude at the elbow, they can be covered up easily. Popular favorites include: floral, tribal, Polynesian dragon, 3D and many others. 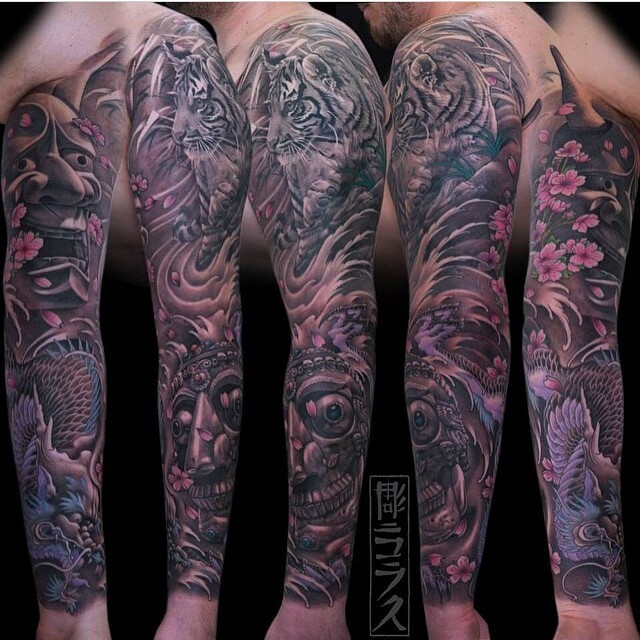 Another variation of tattoo design is the full sleeve design. This type of design takes off from the tip of the shoulder right down till the wrist. It’s more time consuming for sure, but men and women still prefer it. Popular designs include flower and watercolor artwork, and then men like to get tribal, gothic works etc. 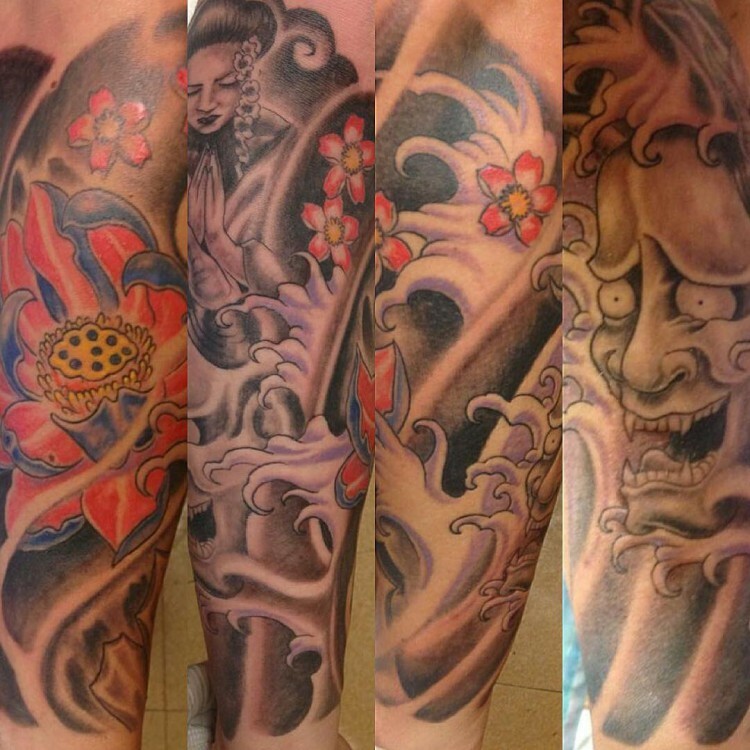 Men and women totally drool over Tattoo Designs on forearms. This is because it the one place where your tattoo design is going to be most visible from. 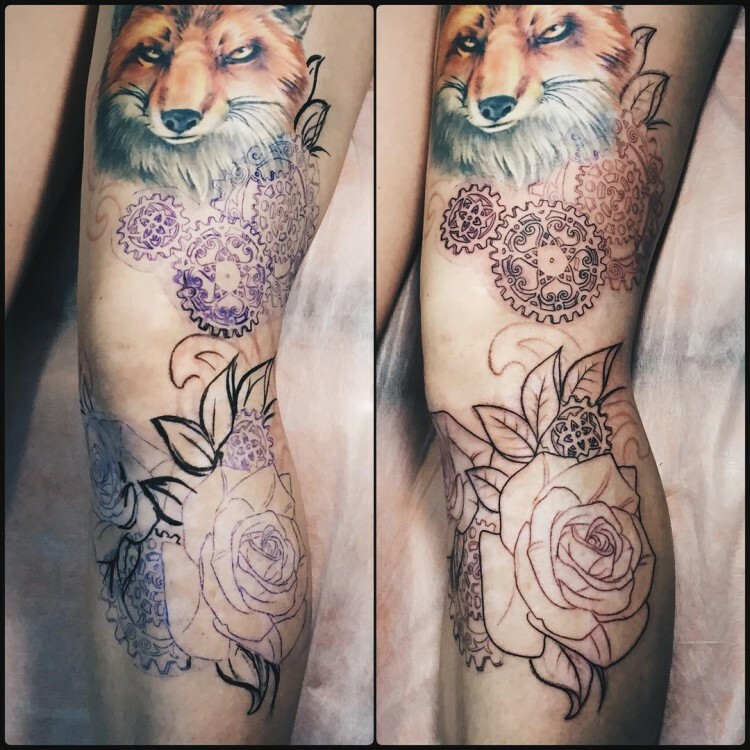 In terms of trending design, well, news is adventurous is the name of the game – right from owls to roses, all kinds of tattoos make it on the forearms these days! Whether you choose either of both of your wrists, it’s pretty cool to get a wrist tattoo nowadays. Both men and women are equally enthusiastic about it. Miniature tattoo designs are in – for the men, music symbols rock, whereas girls like to have tiny birdies flying about on their wrists! 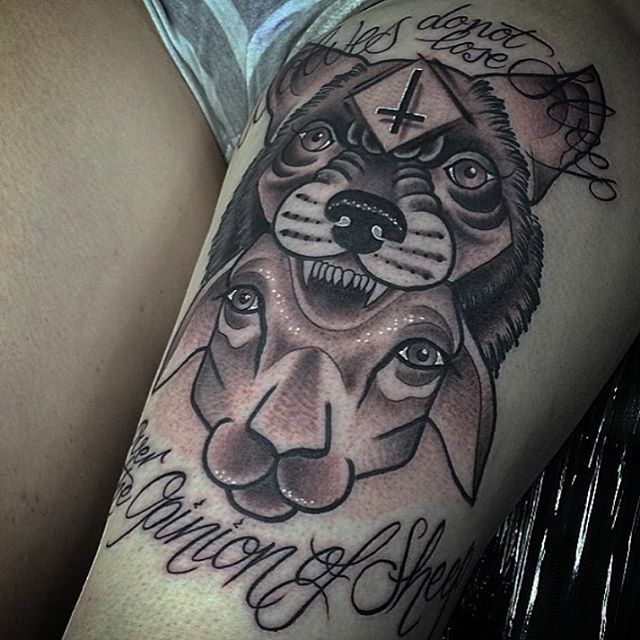 Tattoo designs on the thighs is actually a woman’s thing. As women’s thighs are one of the sexier body parts, the designs have to be just as good. Tattoo designs on thighs are a rage, popular picks cats, Cinderella (yes! ), roses, hearts, dragons etc. 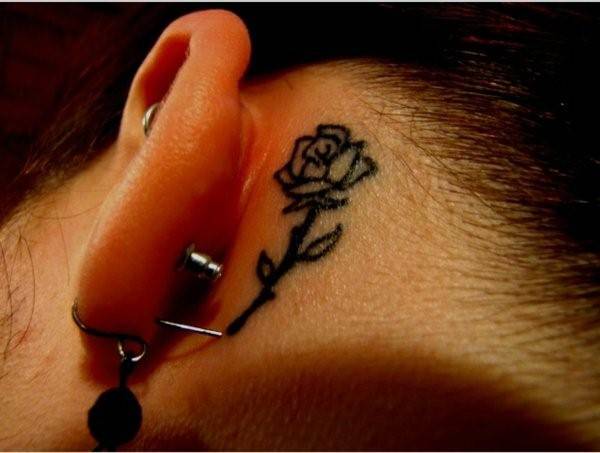 Another one of the enticing places when women like to get a tattoo at these days is the below ear. 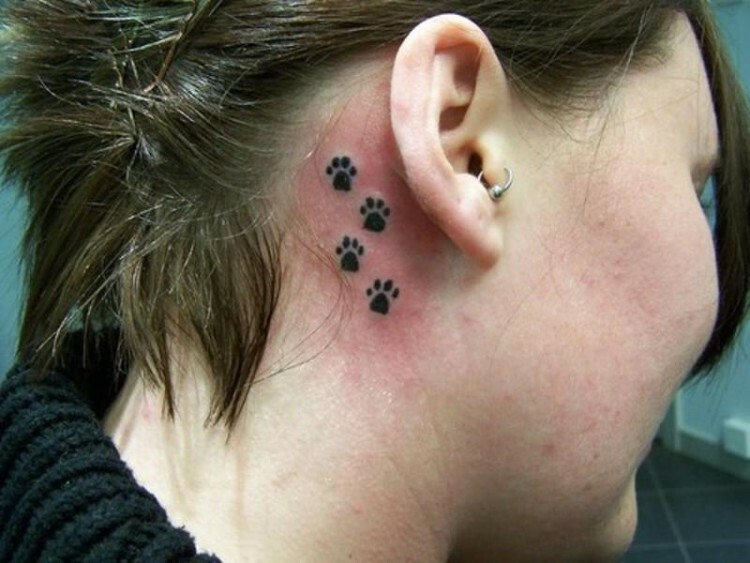 There are several super cute Tattoo designs for below ear doing rounds. Stars, feathers, music notes, little hearts, leaves, birds are some of the ‘earful’ tattoo designs trending! Irrespective of whether you’re a man or a woman, a neck tattoo is going make the object of attention wherever you go. 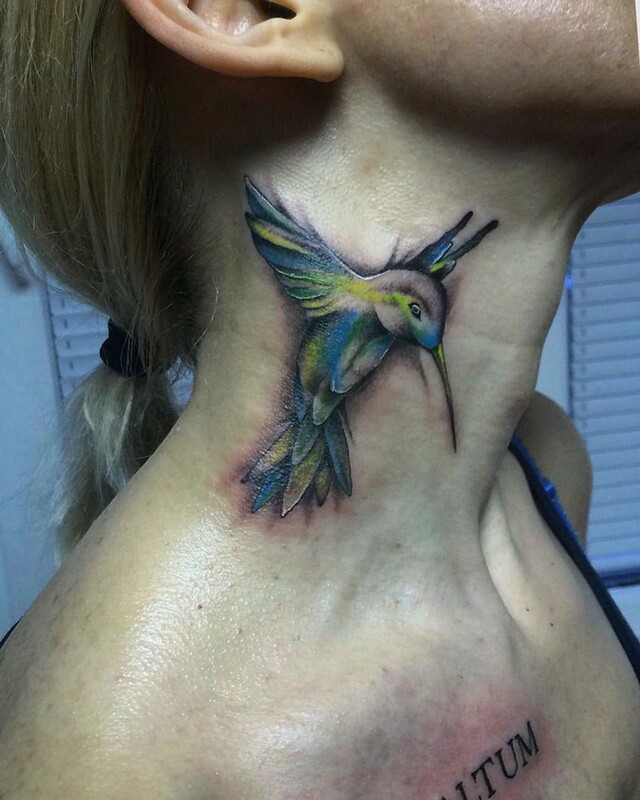 Tattoo designs on neck have been a popular hit for a long time now, and it is here to stay. 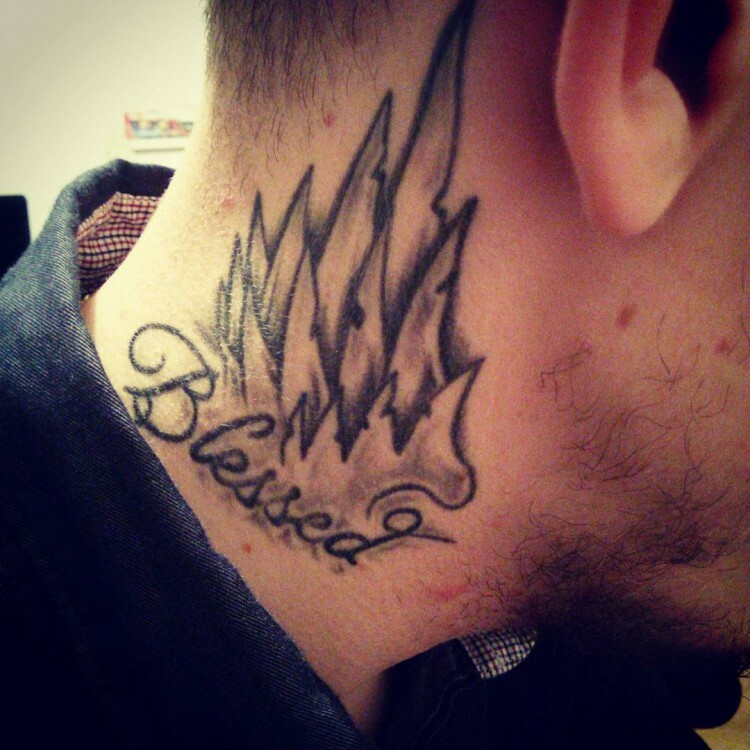 Usually the guys like to go for bold tattoos in and around the neck, so full-blown images and quotes, are their picks. Girls like to keep it subtle – flowers, ambiguous designs appeal to them. 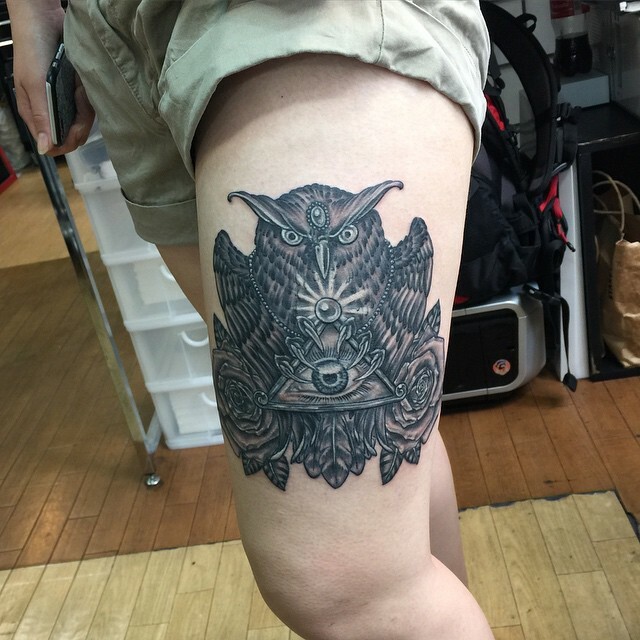 For a bigger size tattoo the legs are good location. 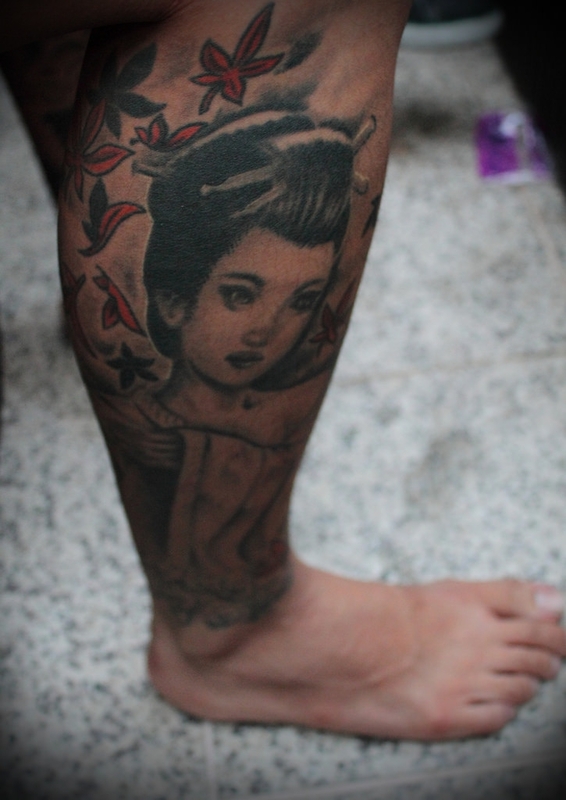 Of course Tattoo designs on legs are favored among men and women. The latter however, prefer it much more than men. Mainly because a tattooed leg of a women is inclined to leave watchers thinking more than a men’s leg could! Foot tattoos are so awesome. Women love to get their feet inked. It brings the world’s eyes to their feet… literally! 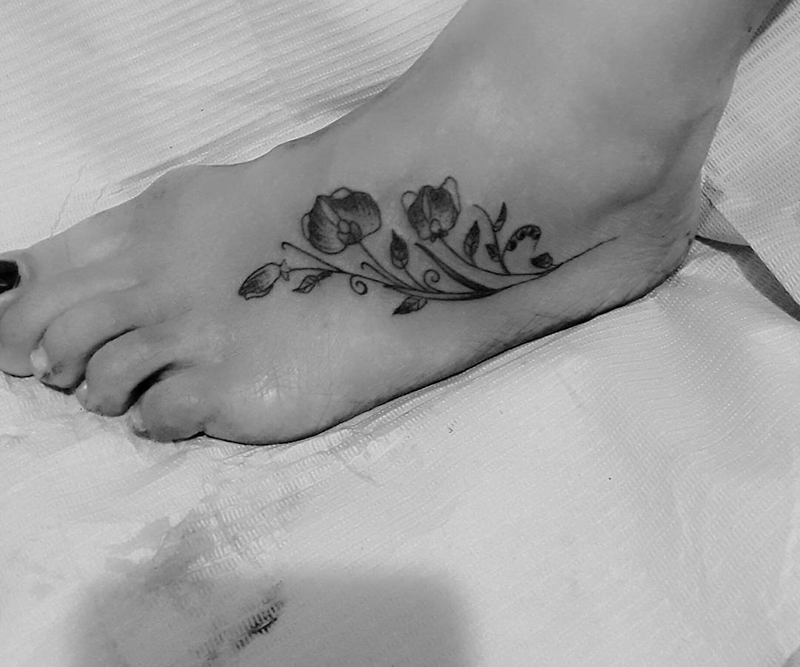 Tattoo designs on feet are in vogue now more than ever before. From miniature designs to full-blown ones, the women are really killing it with tattooed feet! 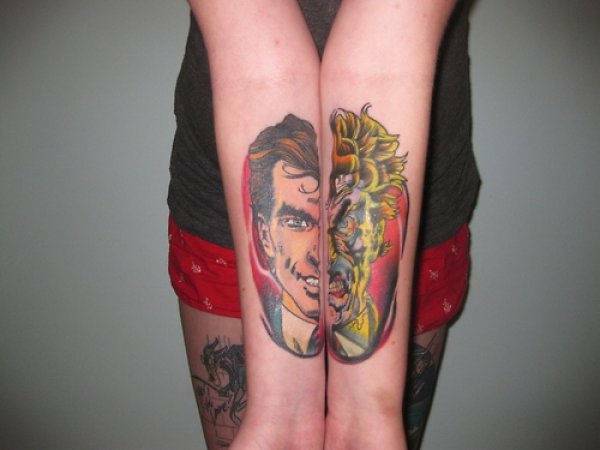 You’d really have a gutsy make if you should ever choose to go for a full leg tattoo. 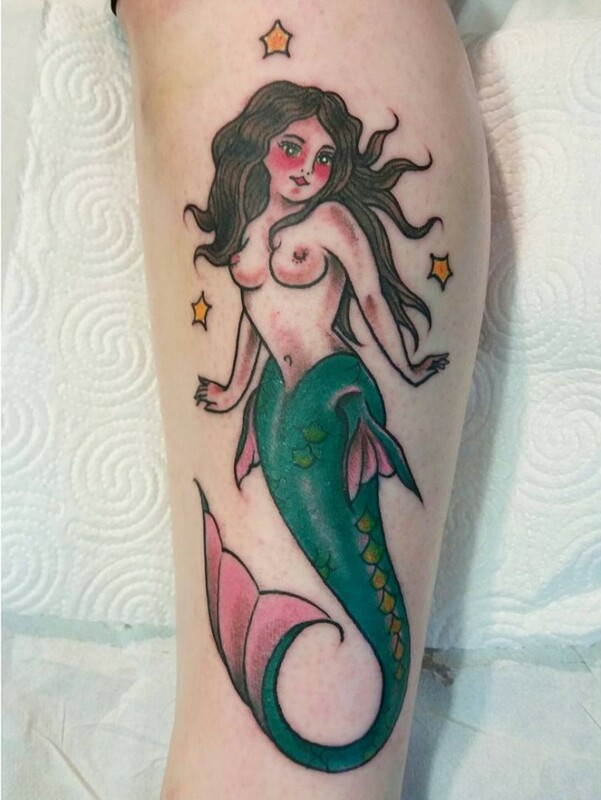 Full Leg tattoo designs are very much girl-oriented. 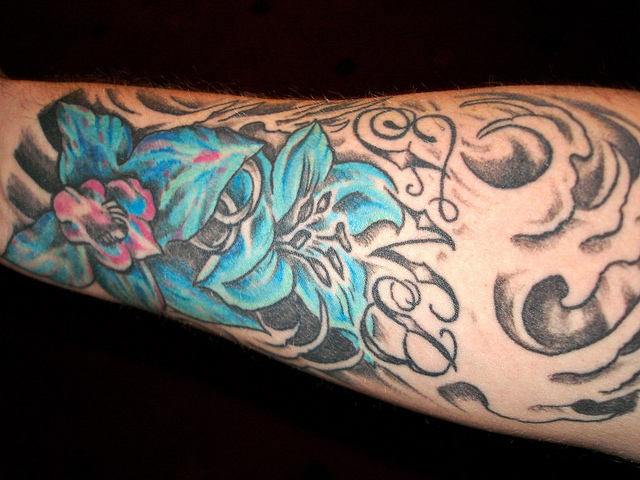 From big sized flowers to a designer fish tattoos – all sorts of quirky tattoos are livin’ it up on the legs nowadays! 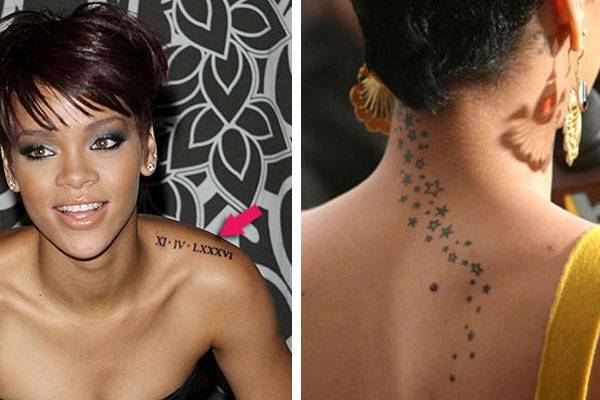 Famous Celebs who got Inked… Permanently! Tattoos are an extremely personal representation of a person’s individuality. It is an image which has a story to tell. Quite a fancy description, but it’s the truth. Tattoos may be considered to be skin-deep, but their meaning and significance runs much deeper. 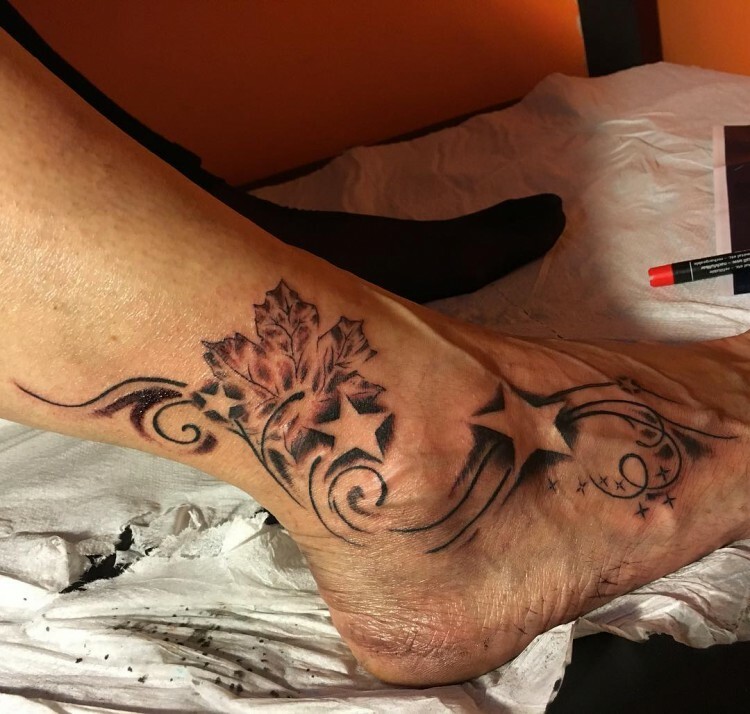 You can count on celebrities to know and understand this aspect particularly well, as celebrities are the individuals who love and flaunt tattoos, which go on to become fashion statement of sorts among their fans. Nobody in the in the world gives as much publicity and endorsement to tattoo designing the way celebrities do. 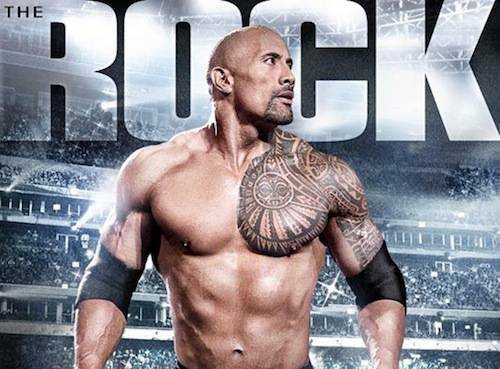 You may have watched celebs appearing all inked up to look the character on screen, which is very cool, by the way. Truth is that a good number of celebrities have gotten themselves tattooed lavishly in real life too. Looking at them, the fans obviously watch, learn and follow their footsteps. Some of the celebrities have celebrated tattoos is such a manner, they have literally turned their bodies to be a haven for tattoos. The tattoos which celebrities have embodied are unique and unusual to say the least. However, the again, it is their personal choice of expression. The fact that their tattoos become a rage is what is noteworthy. In this article we list out the famous celebrities who have earned a big name for themselves amongst their fans world over, not just for their impressive body of work, but artistically unique body art as well. She is one Hollywood actress who is considered to be a synonymous name for tattoos. She is also proof that fully tattooed people don’t always belong to the bad clique. Jolie has several tattoos spread across her body. 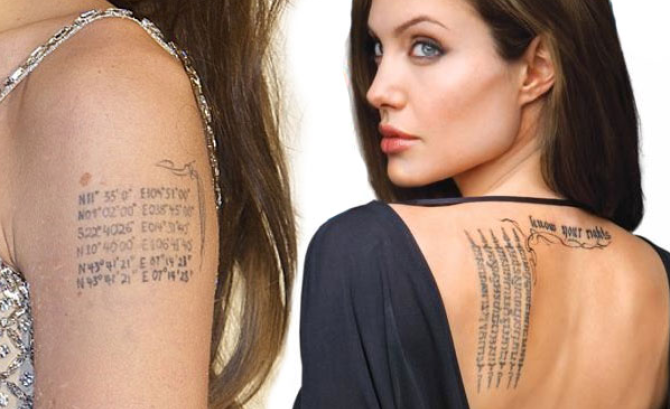 Notably: Jolie has all of her kids’ names and origins inked on her arm. 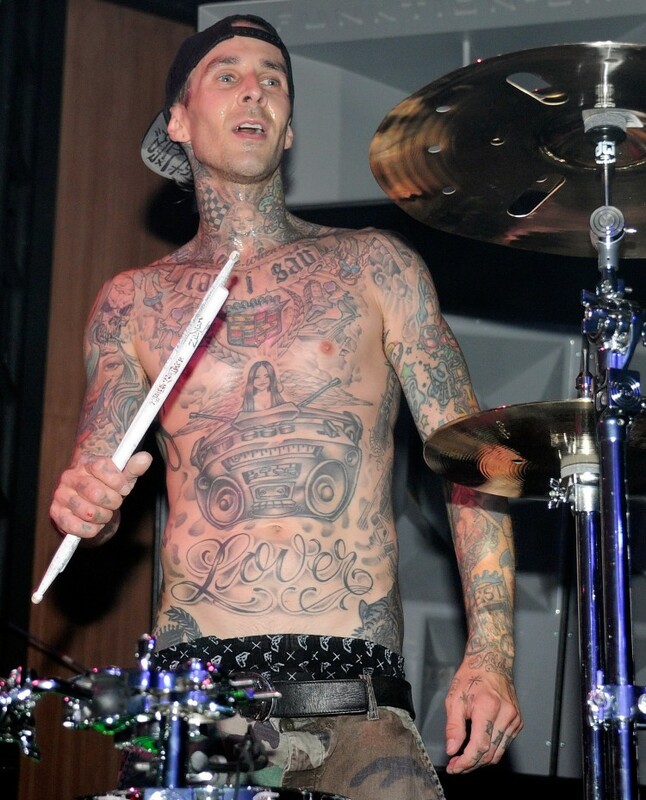 Percussionist Travis Barker is the member from the American Punk rock band Blink 182. He has a unique tally of tattoos , each having separate and particular significance. Like the ‘Pal’ tattoo he and his dad have in common. Recently Barker went ahead and got his head tattooed, which was a 35-hour long endeavor. The once wild-child actress quite is well-populated with tattoos. Her tattoos include: there is a bouquet of flowers on the left side of her hip, a crescent moon inked on her toe, a simple black butterfly under the navel. 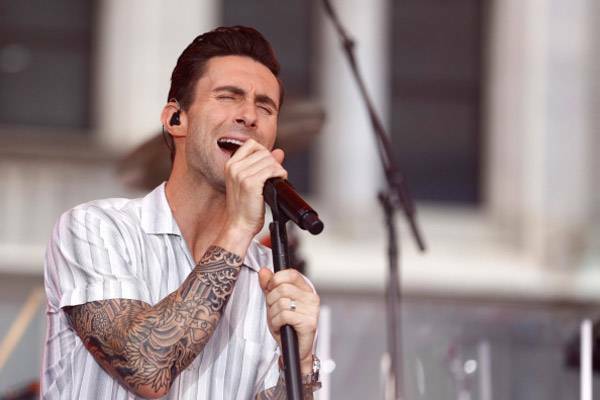 The lead man of the Maroon 5 music band has quite the tattoo fetish and he’s been very famous for his tattoo collection which includes Sanskrit tattoo for his Yoga passions. There’s a ‘222” tattoo – it is the door number of the studio where the band did its first recording. This sultry actress has a big thing for poetry. 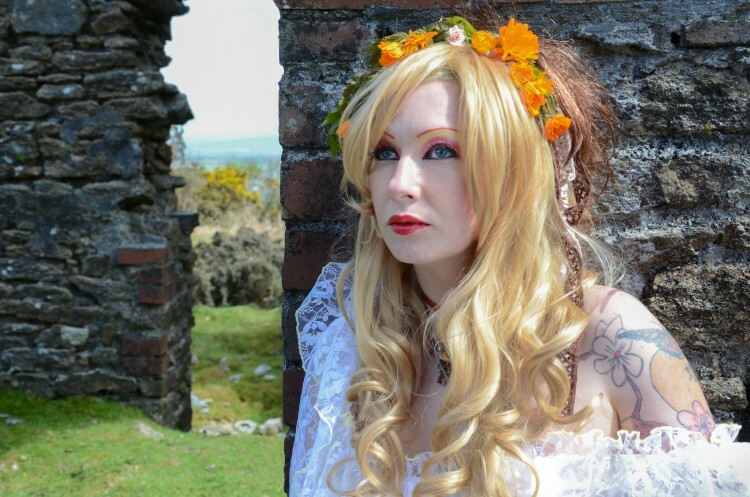 She has had quite a few of her favorite quotations run deep into her skin – thanks to tattoos. One of them is the celebrated “We will all Laugh at gilded butterflies” tattoo which appears on her upper right back shoulder. The hot-bod actor is a serious tattoo aficionado. He got first tattoo on his arms. On his left arm he has his mother’s name ‘Betty Sue.’ He got his daughter’s name – Lily Rose’ designed just above his heart. He’s also got ‘Jack’, which is his son’s name designed in the same style as Jack Sparrow. Most of the tattoos on the soccer supernova’s body are dedicated to his beloved wife former Spice girl Victoria Beckham. He has also got a Sanskrit tattoo designed same as her name. He has an angel tattooed on his right upper arm. The Roman digit 7 appears on his right forearm. The pop diva had her first tattoo designed in 2006 – they were two musical notes, which she later got covered up with an Egyptian falcon. Since then, by her own admission, she has more than 15 tattoos on her body till date. The beefy superstar has an assortment of tattoos of different genres having just as varied meanings and significances. He is the owner of Samoan tribal tattoo sleeve which he got designed as his dedication to his family & spiritual beliefs. Tattoos are an exemplary form of artistic self expression. They not only just become a part of your persona, but also play a role in defining who you’re as a person and who’ve become. Make your tattoo choices wisely!